Travelers don’t have a lot of say in how their passports look. It’s hard to take a flattering picture (unless you’re Prince), you can’t choose which inspiration quotes frame your stamped pages, and you can’t choose the color of your passport cover. To that last point, Business Insider recently explained why passports only come in shades of red, blue, green, and black. 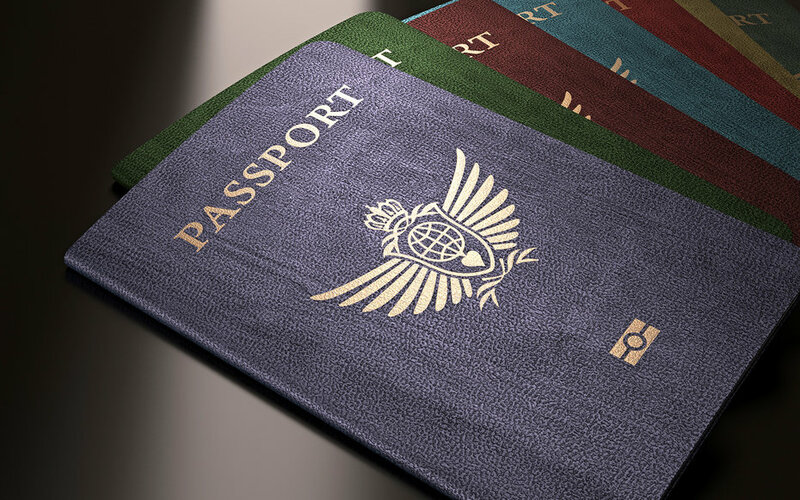 Somewhat surprisingly, the color of your passport follows no strict system of country categorization—though that’s not to say the colors are totally random, either. Boghossian told Business Insider that Caribbean, or Caricom states, typically use blue, though it’s common in the “New World,” as well. Vox pointed out the customs union of Brazil, Argentina, Paraguya, Uruguay, and Venezuela, known as Mercosur, all boast blue passports (except Venezuela, which still sports a red passport from its time in the Andean Community). The United States’ passport, however, only became navy blue in 1976—to match the shade found in the American Flag. Before that? “Most Islamic states use green passports because of the importance of the colour in their religion,” Boghossian shared with Business Insider. Variations of green are also used by members of ECOWAS—Economic Community of West African States—including Niger and Senegal. Here’s another, far more practical, interpretation for selecting passport colors. Dark colors (even deep shades of blue and red) show less dirt and tend to look more official. Examples include the Republic of Botswana, Zambia, and New Zealand—though for the latter, black is also considered one of the country’s national colors. Ultimately, you can infer about color as much as you want, but passports represent something much greater than geo-political and economic ties. “We forget that [passports] belong to people. For some, they are a barrier. To others, a right of passage,” Boghossian said to Travel + Leisure. After all, both the U.S. and Syria issue blue passports—but Syria has one of the worst-ranking passports in the world. Having a Syrian passport allows you access to only 32 countries without a visa, due to diplomatic relations. Meanwhile, the U.S. has the third-best ranking passport. Boghossian cited Norway, which recently unveiled its winning passport design from a nationwide competition, as an example of a country using its passports to define its distinct personality and characteristics. The colors? Vibrant and hip. The U.S. passport is about to get a makeover: and while the design has yet to be released, we know for a fact the country has a history of changing its passport cover.